Home > Birds > More wetland birds. 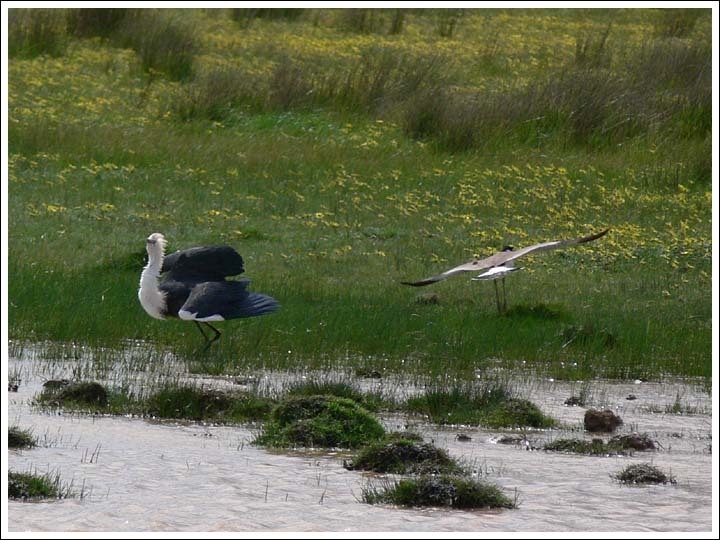 Pacific Heron and Masked Lapwing. The lapwing was nesting nearby and didn't like the look of the heron. Album name: admin / More wetland birds.